It is time for another TinBoats giveaway. 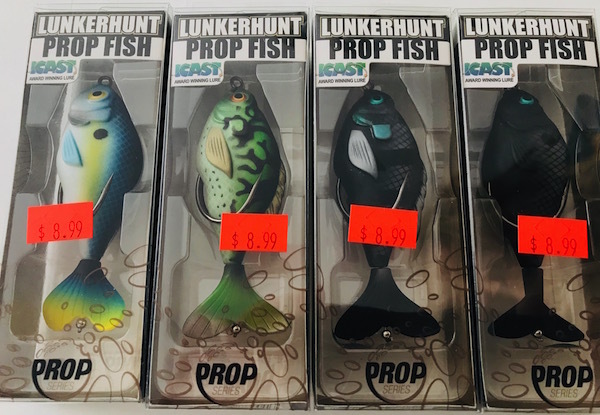 This time the lucky winner will win a Lunkerhunt Prop Fish. My little sidekick Danielle and I went to the New England Fishing and Outdoor Expo. Walking through the show we stopped at the massive Tackle Supply Depot Booth. If you have been a TInBoats member or a follower of the forum you know that I am a topwater fanatic. I love fishing topwater baits. In my opinion (as I have said before) there is nothing like a topwater blowup. 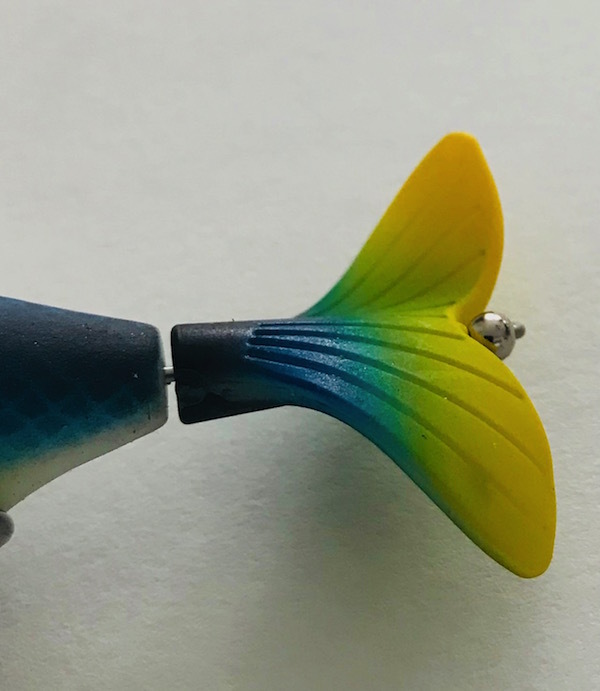 Our eyes focused on this lure that we never saw before. This Lunkerhunt Prop Fish looked awesome. 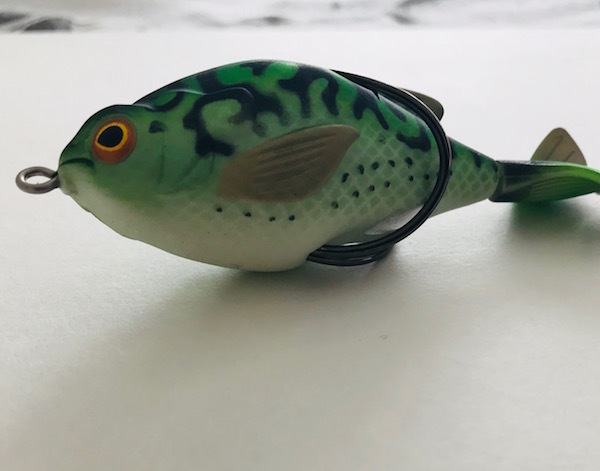 Being a big fan of the Whopper Plopper, I wanted a lure with the same kind of action but that I could burn through the lily pads and weeds. Running the plopper through the thick stuff is not going to happen. I took the following blurb directly from the LunkerHunt Prop Fish page. Now for the good stuff. Tackle Supply Depot had a great deal for the show where If you buy 3 lures you get one free. I did not know that because I originally went up to the register with two of them. One for me and one for you. The nice guy behind the counter told me that If I buy one more I could get one free. Sold! So there you have it, I walked out of the show with four Lunkerhunt Prop fish. The only smart to do is keep two for myself and give two away. One lure for all the readers and then one for the members of the forum. Giveaway ends on April 1, 2018. All you need to do is reply with “IN” below. I will pick you like we normally do by using random.org. Bonus chance: If you are a member of the TinBoats forum (free to join folks!) 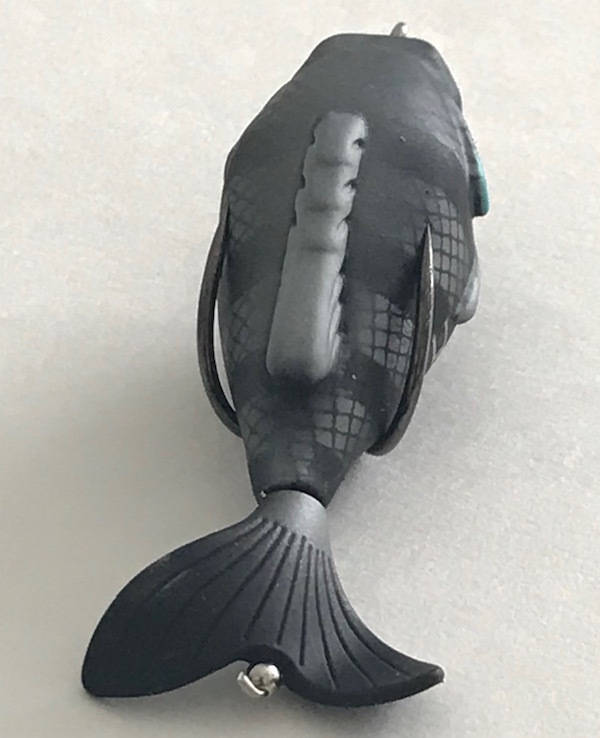 enter in the Giveaway section for a second chance to win a Lunkerhunt Prop Fish. *Winners choose the color they want, first come first serve.